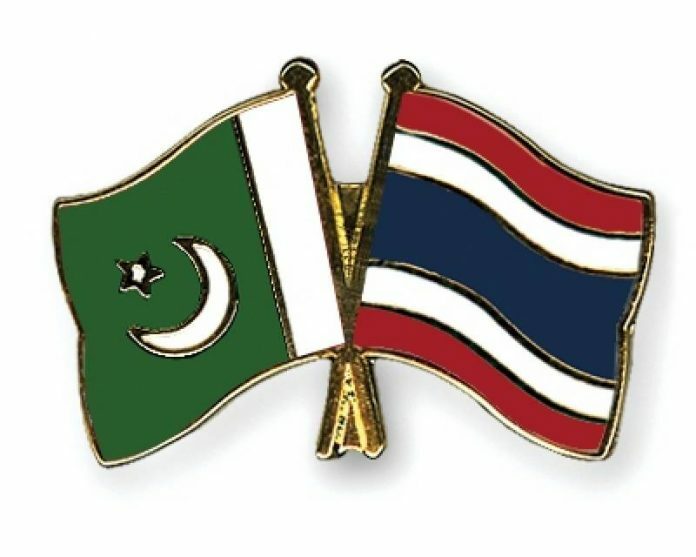 ISLAMABAD, Aug 2 (APP): Ambassador of Thailand to Pakistan Suchart Liengsaengthong here on Tuesday said that his country’s entrepreneurs were interested in doing some serious business with Pakistani counterparts and they had brought samples of their products to introduce them to Pakistani businessmen. The Ambassador stated this during his visit to Islamabad Chamber of Commerce (ICCI) here this afternoon. He was leading a 12-member delegation of Thai companies who visited ICCI and held B2B meetings with members of relevant sectors to seek business partnerships. The delegation was representing some renowned companies of Thailand including Giffarine Skyline Unity Co. Ltd manufacturers of cosmetics, Fashion Food Co. Ltd. dealing in readymade food and snacks, Srithai Superware Public Company Ltd. dealing in melamine kitchenware, SCG Trading Co. Ltd. manufacturer of cement, construction & industrial materials and energy products and Bangkok Chain Hospital PCL. Speaking at the occasion, Suchart Liengsaengthong, said that the purpose of bringing Thai business delegation was to remove some misconceptions about Pakistan and to provide them first-hand knowledge about its business and economic potential. He said Thai entrepreneurs were interested in doing some serious business with Pakistani counterparts and they have brought samples of their products to introduce them to Pakistani counterparts. He said Pakistan-Thailand current bilateral trade of US$ 1 billion was not up to real potential of both countries. However, he said Pak-Thailand Free Trade Agreement would hopefully be signed during this year that would give boost to bilateral trade as it would reduce tariffs and address other trade barriers between the two countries. He stressed that ICCI should also take its delegation to Thailand as exchange of trade delegations was the best way to explore areas of mutual cooperation and to promote two-way trade. In his welcome address, Atif Ikram Sheikh, President, Islamabad Chamber of Commerce and Industry said that Thailand has the “Look West Policy” while Pakistan has the “Vision East Asia Policy” and both countries have good potential to complement each other in many areas, a statement of the Chamber issued here said. He said that Pakistan could facilitate Thailand in promoting trade with South and Central Asian countries whereas Thailand could facilitate Pakistan in getting access to ASEAN region. He said that Pakistan had great potential for Thai entrepreneurs, especially for ready-made food and snacks, cosmetics, kitchen wares, cement, construction and in many other fields as it was a huge consumer market. He said Thai businessmen should explore investment opportunities in various sectors of Pakistan’s economy including CPEC projects, food processing, agriculture, textiles, engineering & electronics, construction, pharmaceutical gems and jewelry etc. He assured that ICCI would fully cooperate with Thai entrepreneurs for seeking business partnerships and making investment in Pakistan.